Incorporated in 1872, the City of Cloverdale is located 85 miles north of San Francisco and 32 miles north of Santa Rosa in California's beautiful wine country. The City is 2.7 square miles in size with a population of approximately 8,454. Cloverdale offers the ideal location; work and relax away from the rush of the big city! The City of Cloverdale is an attractive community surrounded by oak-studded rolling hills and offers incredible recreational opportunities with a small town ambiance. Cloverdale is framed by towering redwoods to the north and picturesque vineyards to the south. 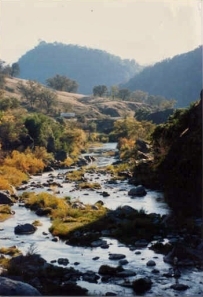 The City enjoys proximity to many major Northern California destinations while at the same time maintaining its autonomy in a lush, natural setting benefiting from moderate winters and warm summers. Cloverdale is best known outside its immediate vicinity as the primary "main street" and "downtown" sets for the television show Smallville. A billboard on the edge of the community reads, "Destination Cloverdale - Home of Smallville." The community has been home to other filming, including one of Coca-Cola's Christmas commercials. Despite filming during summer, the town square was decked with Christmas decorations, including fake snow. In June 2006, a film titled Deck The Halls was filmed, and the area was once again decorated in Christmas decorations and fake snow. In September 2006 the feature film Postal was filmed in Cloverdale. The 2007 film Hot Rod, starring Andy Samberg, was also filmed in Cloverdale. A portion of 176th Street was shut down to accommodate a riot scene and a motorcycle stunt involving jumping over fifteen school buses was filmed at the Cloverdale Fairgrounds. In addition to being filmed there, the town of Cloverdale was a fictional setting of Stargate Universe episode entitled "Cloverdale".